Last week, Blizzard showed Jace Hall three concept art images of the female Monk, and a few days later released high-resolution images of the female monk at the official Diablo III website. Blizzard is now on a hype-spree releasing more female classes concept art. 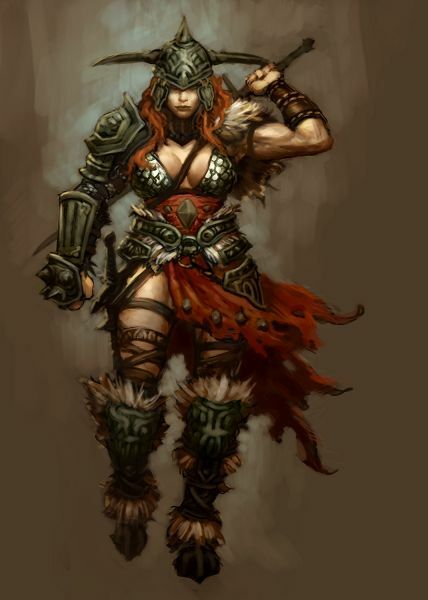 This time it is the female Barbarian who is in the spotlight. It’s a sign that the female Witch Doctor won’t be too far from getting the same treatment. The barbarian class page has been updated with a new piece of concept art depicting the female barbarian as well as a close-up view of her in-game model. Check out this new look at a relentless terror of the battlefield over at the barbarian class page.